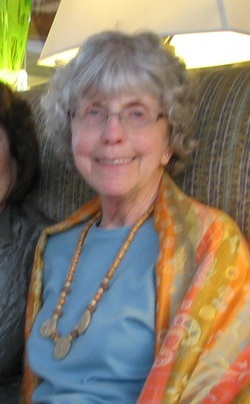 Nancy Bogni is a native Washingtonian and lives in Normandy Park. After a 30-year career at Boeing as a graphics illustrator and raising a family, she is now painting and teaching full-time. She is mostly self-taught, but has gleaned much knowledge and inspiration from some well known and much admired artists in the Northwest and the Southwest, having attended the prestigious Scottsdale Art School, with a scholarship. She is a member of Women Painters of Washington, Artists United of Burien, Seattle Co-Arts, and associate member of Oil Painters of America, and a signature member of the Northwest Watercolor Society. "The inspiration for my painting comes from the light," she says. "The shadows that are cast become as much a part of the whole as the subject itself." Also she states: "Subject matter is not as important as composition and light, but the human figure and all it conveys inspires me the most."